Are you planning a move? Moving within the city, to another state or internationally can me mentally exhausting, physically draining and financially stressful. It is an important task and faced by everyone at some or the other point in time. Many have done it and if you ask them, finding the perfect removalist is the basis of making their transfer a happy and pleasant experience. With the right removalist this experience can be exciting and fun. The right removalist can actually help you look forward to your move. The question is- Who is the perfect removalist? The best Removalist is one that understands your specific needs and requirements. Along with that, a mover must be able to assure you of safe moving of your belongings and guarantee professionalism throughout the transfer process. The next big question is- How do you choose the perfect Removalist? Now that’s the tricky part! 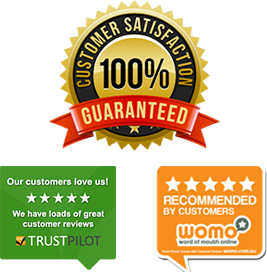 Every removalist in Wollongong will give assurance and guarantee great results. It is not possible for you to judge as to who can be relied upon. This is where the Removalists Wollongong team comes to your service. We have been in this field for a long time now and know who the best removalists are. We will provide you with a list of comparative quotes after choosing the right movers that fit your need. You have the comparative list and you have our recommendations, you can now analyze and make an informed choice. Depending on your budget, choose the removalist that offers the perfect deal to you. The service provided by us will not shake your budget as it is a free service. 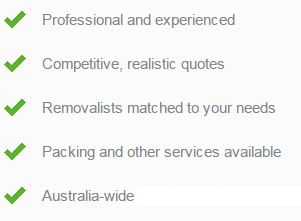 Our main aim is to assist our customers in finding the most professional, skilled and expert removalist in Wollongong. We help you save time, effort and money.